The Multicharger Mixte: Ride all the time and take everything with you. Low weight and high load capacity: Weighs a little. Carries a lot. The Multicharger Mixte sets new standards in terms of the ratio of size and weight to loading options. So a full family shop including a crate of water are no problem at all. Or even two small children – safely accommodated in child seats. 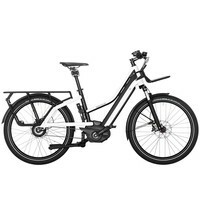 It can transport an additional load of up to 60 kg with surprising ease on its rear. 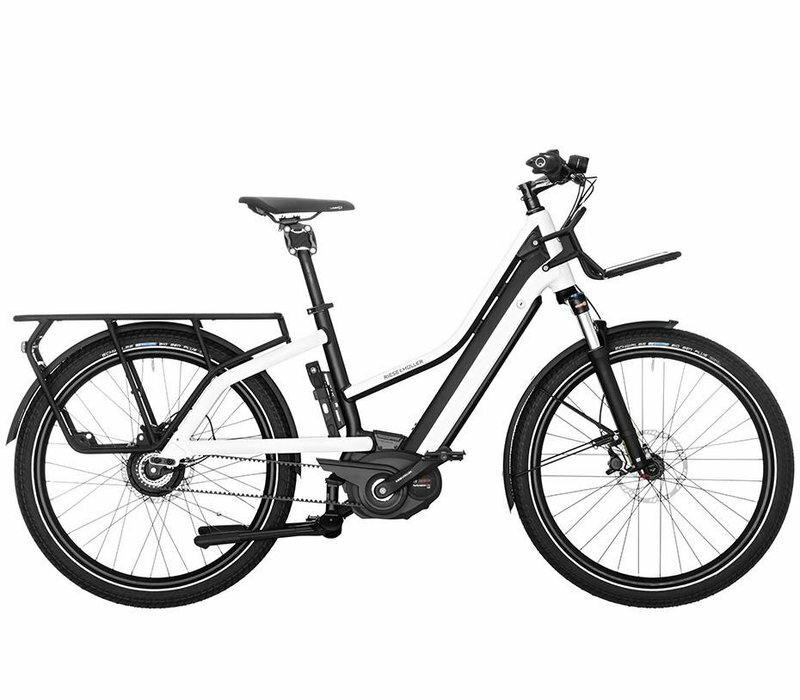 And if you carry the Multicharger Mixte up or down a few steps, you'll be pleasantly surprised by how light it is: the Multicharger Mixte weighs less than 30 kg in most model variants. Flexible load transport; The cargo bike of E-Bikes. 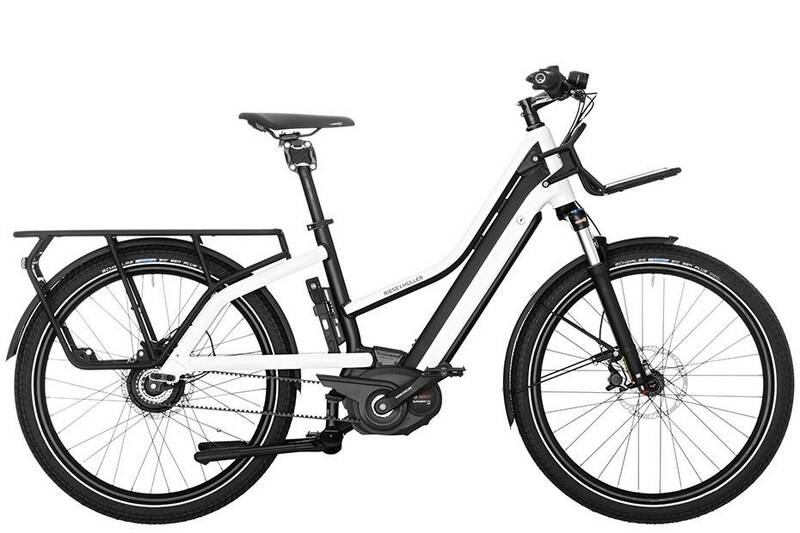 The Multicharger Mixte has a 64.5-cm-long carrier and an optional luggage space. These large, fixed, 33-litre panniers make it as easy and handy to transport shopping and parcels as it is to carry everyday items such as laptops, keys, bottles and a spare battery. The shape and size of the bags make optimum use of the Multicharger Mixte’s cargo area. Excluding the luggage space, there is room for two standard bicycle bags on each side of the carrier. The standard front carrier offers additional transport space for luggage or smaller purchases. Safe handling; Safe riding pleasure. Force equals mass times acceleration. But anyone riding a fully loaded Multicharger Mixte for the first time might wonder whether this law of physics needs to be rewritten. Despite its generous loading volume and length, the Multicharger Mixte retains its extreme agility and manoeuvrability at all times, and you’re in control. So you can master every situation, whether in the city or on a long ride in the country.